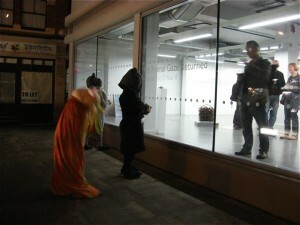 To pv of excellent Animal Gaze exhibition at Cass, part of London Metropolitan University. As human visitors looked at the exhibits, giant furry creatures gazed at them. Several scurried off into the lift. 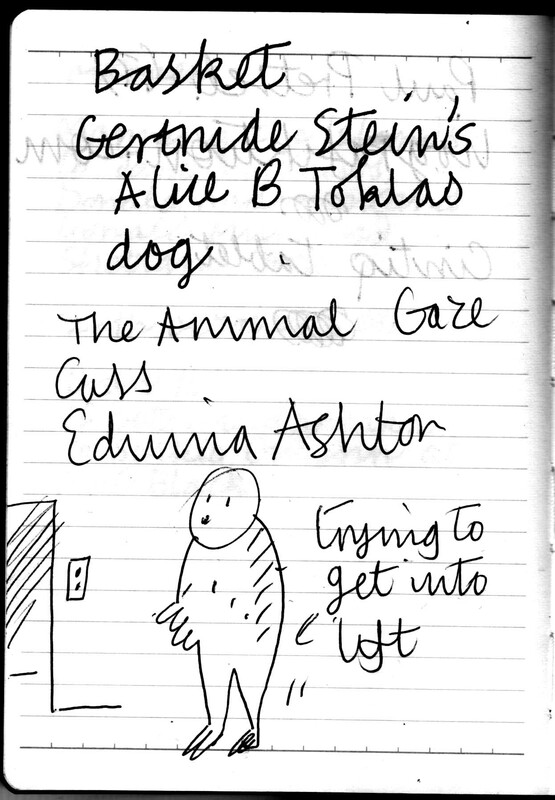 I believe Edwina Ashton was involved. Wonderful. And apologies to large white woolly shuffler – your fur came off in my hand (honest). 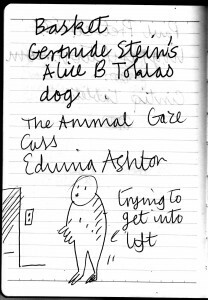 This entry was posted in Sketchbooks and tagged Alice B Toklas, Animal Gaze, animals, Basket, dog, drawing, Edwina Ashton, exhibition, Gertrude Stein, lift, London Metropolitan University, notebooks, sketchbooks. Bookmark the permalink.